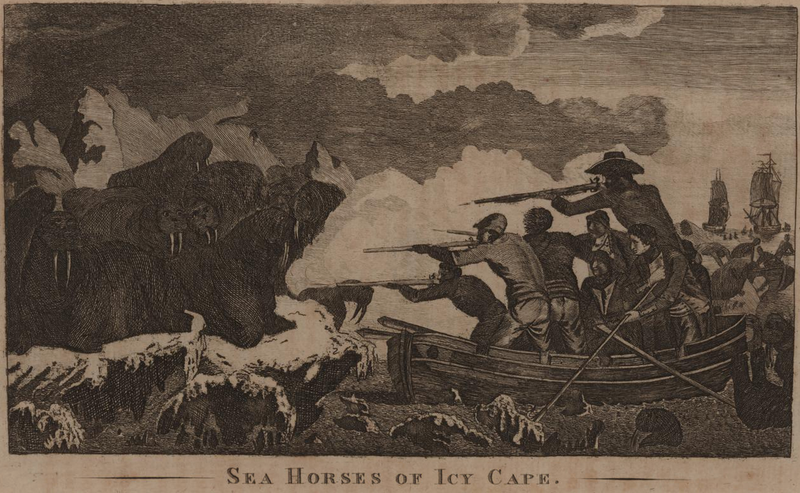 Sea Horses of Icy Cape, M. Brown, 1790, John Carter Brown Library. 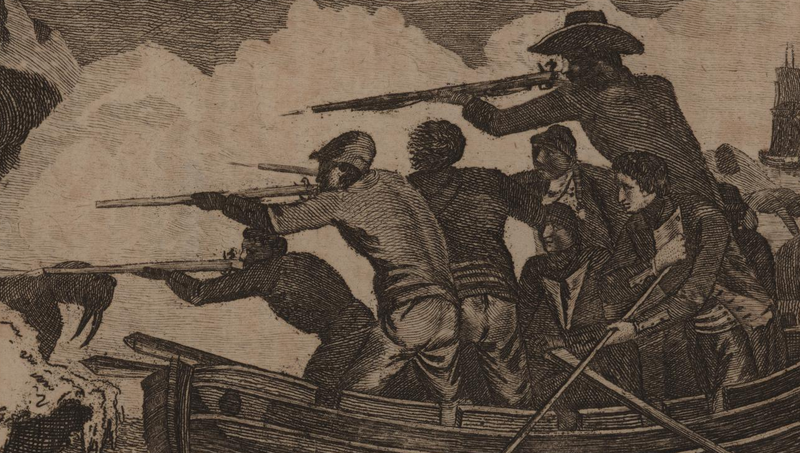 Taken from the book Captain Cook's Voyages Round the World, this engraving depicts a group of tars laying fire into a tightly packed group of walruses (here named "sea horses") in Alaska. Setting aside the humorous expressions on the faces of the seamen and the walruses, we'll dive right in to examining the seamen's clothes. All of our tars wear plain trousers and close fit short jackets. For those who have their backs turned to us, we see their jackets are without vents or cuffs. The oarsmen amidships show that the jackets have white lapels, and one of them has matching white mariner's cuffs. Though most are without hats, a pair (at the least) wear knit caps, and one rather tall man in the back wears a round hat bound in tape and turned up on one side. It is possible the hat is turned up on both sides, but the perspective here only allows us to speculate.